When it’s time to getaway you leave your diet at the door, because every good weekend involves a little guilty gut pleasure. 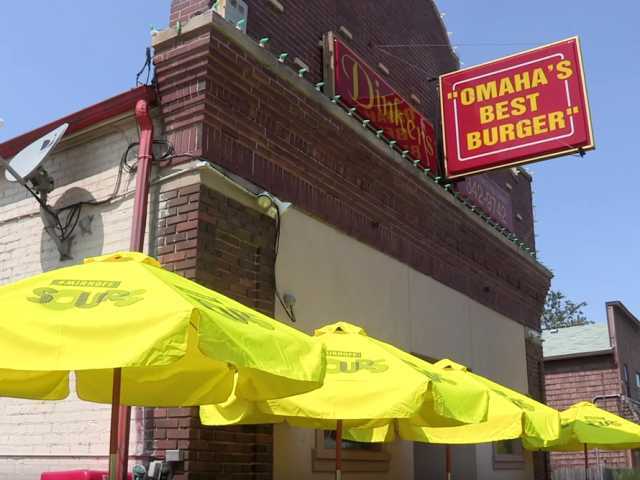 Dinker’s has been a proud burger-slingin’ Omaha tradition for over 60 years and the owners will tell you they don’t “have a low calorie burger.” So get ready to sink your teeth into these juicy palate pleasing patties. 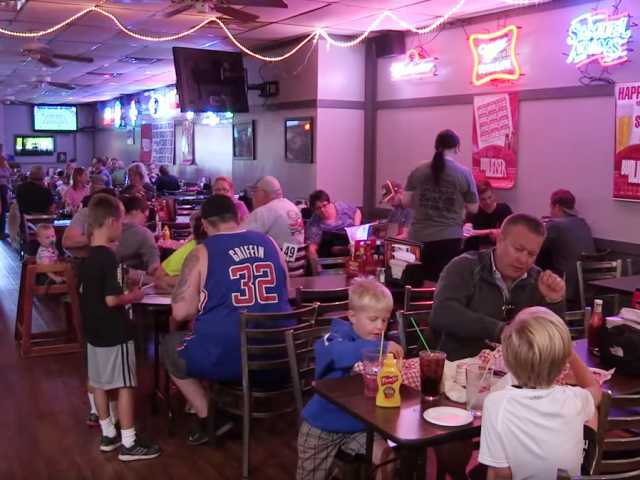 Some loyal Dinker’s fans visit every day to chow down on the 7 oz. burgers made with hand-pattied beef topped with fresh ingredients. 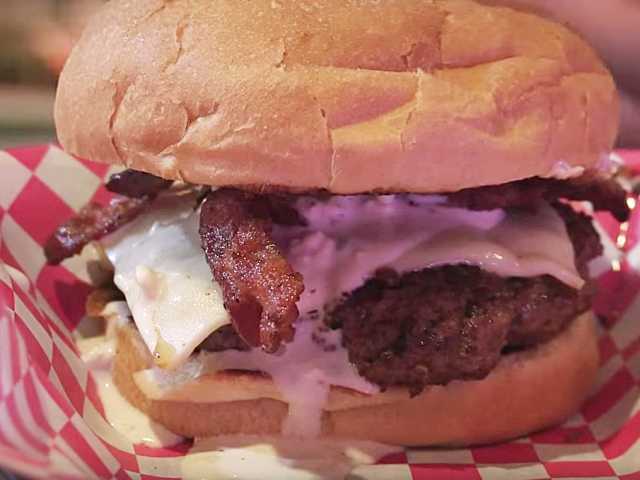 The most popular burger (even featured in Midwest Living magazine) is the Haystack. This will make you smile – the Haystack Burger is topped with melted American cheese, honey smoked ham and a fried egg. When stomachs are growlin’ extra loud, make any burger a double, or take on the Ultimate Triple Decker Dinker Burger. 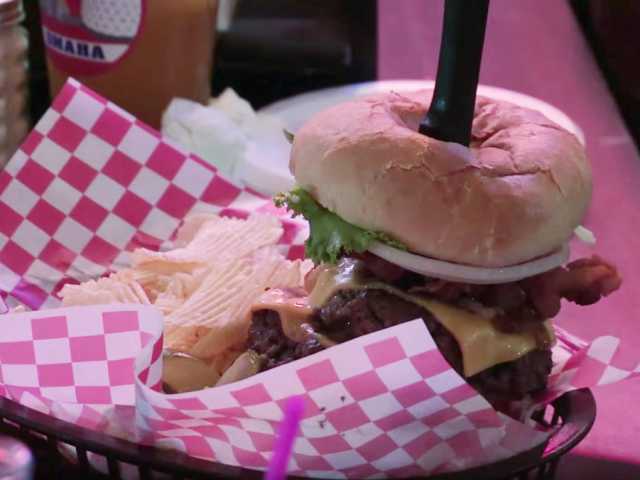 This beefed-up challenge features three cheese topped patties (yes, that’s 21 oz. of meat magic) topped with bacon, onions, mayo, lettuce and tomato. 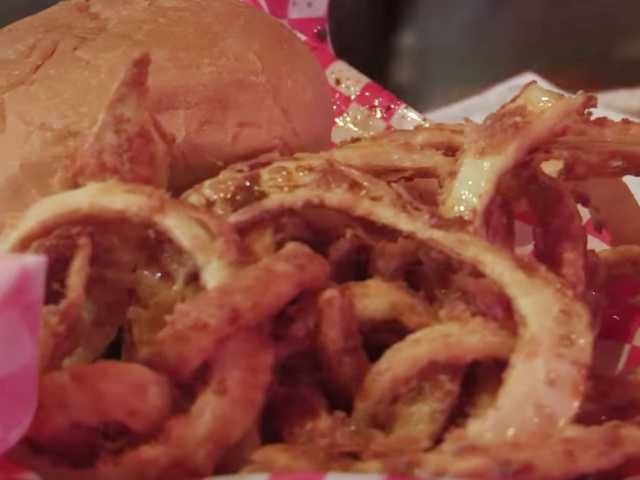 Every burger is best served with a side of Dinker’s famous onion rings - hand-cut, hand-dipped and fried in a secret buttermilk mixture. Don’t forget the homemade buttermilk ranch for dipping. With six HD televisions, you’ll never miss a second of your favorite game. 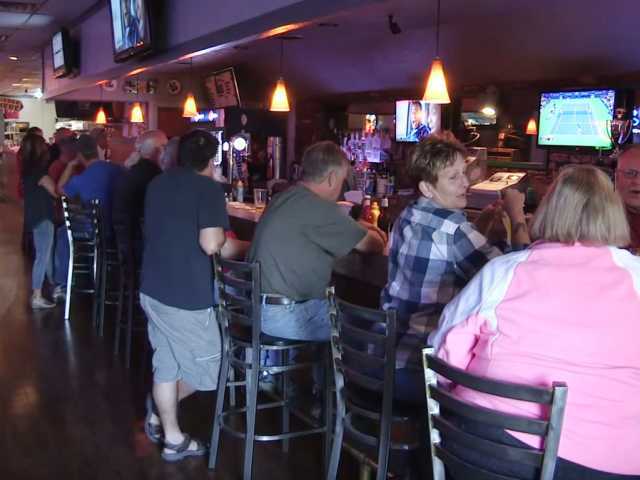 Stroll into Dinker’s for the friendly neighborhood bar atmosphere but stay for the burgers. 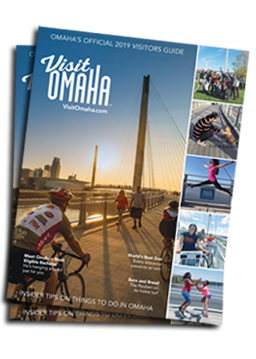 Check out the Now Serving Omaha webisode above featuring Dinker’s. Click below to see restaurant details, check out Yelp reviews and get social with Dinker’s.